Pierre Mortefon (Fanatic / North) and Ben Van der Steen (Tabou / GA Sails) finished level on points - missing out on the podium by just 0.7 of a point. The Frenchman finishes just ahead of Van der Steen in fourth with a better count back. Mortefon drops back one place into fourth in the overalls, whilst Van der Steen remains in seven place. Finian Maynard (99NoveNove) finished 24th in Fuerteventura, which is especially commemorative of the late and great Peter Volwater - H-24. Maynard was especially close to Peter as a best friend over their 18 years together on the PWA tour. 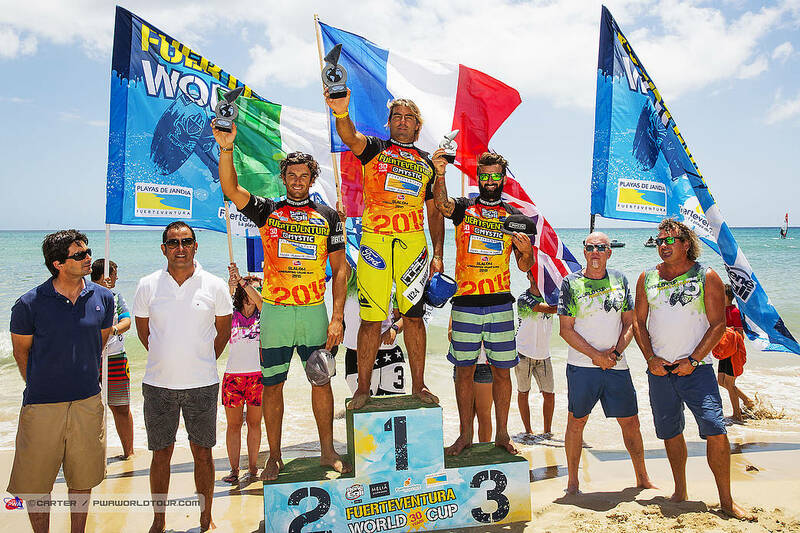 Fuerteventura re-enhanced its reputation as one of the most exciting events on the tour after another epic nine days on the 30th anniversary of the event. The PWA World Tour now moves directly to Tenerife for the third stop of the waves, which runs between the 3rd-9th August. You’ll be able to follow everything as it happens by tuning into www.pwaworldtour.com.